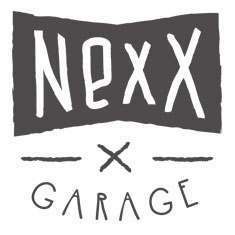 Nexx have been making top notch helmets for years, their X-Garage range ranks highly amongst our personal favourites and they have decided to complement the collection by trying their hand at a motorcycle-focused backpack. And they smashed it. The X-Garage backpack combines its old-school style with a whole lot of functional specifications and features some details we wouldn't mind seeing on every motorcycle backpack out there. The wax cotton roll-top construction with leather detailing makes for a sturdy rucksack that can take a beating and will age gracefully. The padded and adjustable shoulder straps can be disconnected and hidden in the zipped back pocket, allowing you to easily attach the bag to your bike using the provided tie-down straps. The waxed cotton is water resistant but when it really starts pouring it down, the included waterproof cover will ensure the contents of the bag stay dry. You'll find this cover stows away neatly in the zipped front pocket. Nexx designed this pocket to hold your spare visor too, but while it will fit the majority of goggles, it might prove to be a bit small to hold most full-sized visors. Not to worry though, the main compartment has plenty of storage capacity, designed to easily hold a full face helmet. Have a look at our in-depth video review for more information.